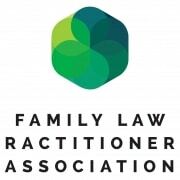 Navigating family law is complex enough without the added pressure of running a business or a busy household while you make your way through the maze of separation and divorce. At Daykin Family Law, we understand that your time is precious and that you need someone to take care of your interests while you get on with life. It is our commitment to provide you with timely, pragmatic advice to solve your family law issues as efficiently as possible. 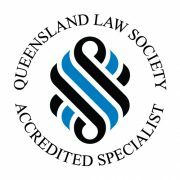 Director, Shannon Daykin, is an Accredited Family Law Specialist, a Board Member of the Family Law Practitioners’ Association of Queensland and a Member of the Family Law Specialist Accreditation Advisory Committee for 2019. Shannon was named as a Leading Family & Divorce Lawyer (Recommended, Brisbane) and Leading Parenting & Children’s Matters Lawyer (Recommended, Queensland) in the prestigious Doyle’s Guide 2018 and 2019. 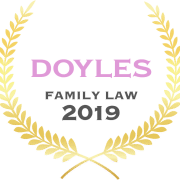 In 2019, Daykin Family Law was named in the Doyle’s Guide as a Leading Family & Divorce Law Firm (Recommended). Daykin Family Law is a full-service family law firm offering tailored solutions in all areas of separation, divorce, property settlement, parenting matters, surrogacy and other alternative pathways to parenthood. Our experienced family lawyers will discuss the options available to suit your needs and are committed to providing high-quality services. We offer fixed fees for certain services and always work with our clients in an honest, friendly, approachable and transparent manner. Based in Brisbane CBD (Fortitude Valley), we serve clients across Queensland as well as Australia-wide and overseas. Family law appointments are available during and after business hours. For your convenience, we offer Skype and phone consultations. Discover more on our Family Law services by watching our introductory video below.